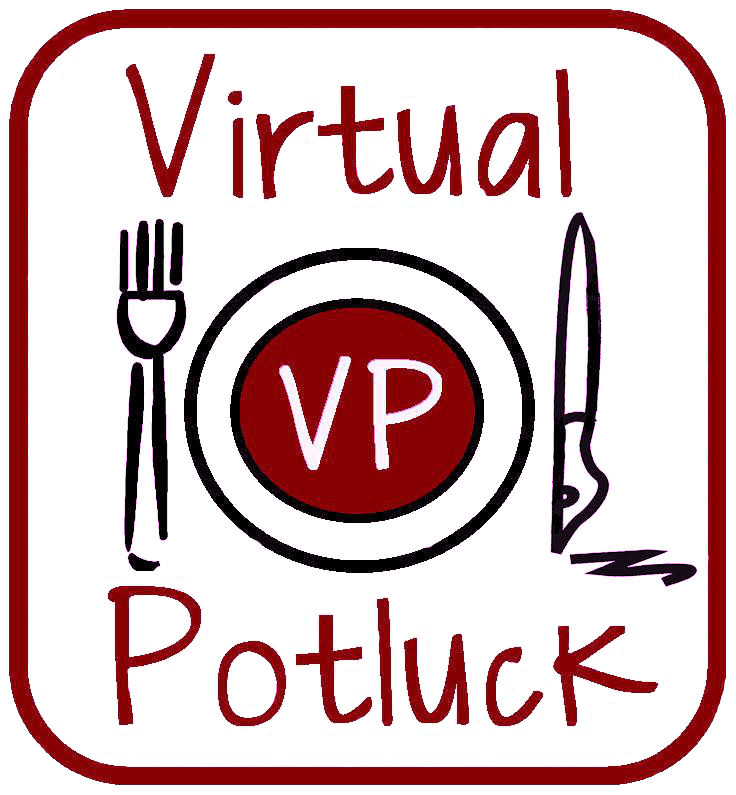 Last week we launched Virtual Potluck - a group of 12 amazing bloggers (okay, eleven amazing bloggers and me) working together on fun blogging projects. For details, check out the tab at the top or our new spiffy website. This week's potluck is sponsored by Marx Foods, one of my favorite food sites. I drool every time I go there. So when Virtual Potluck was being brainstormed, I asked Justin Marx if he'd like to help us play. Seconds later, he said "yes" and in no time we had sample boxes with vanilla, mushrooms, chilis and rice. The premise for this potluck is that we're all invited to a Thanksgiving dinner and we're all asked to bring a contribution. Since great minds think alike, we're all using products from our sample boxes. Potlucks are fun. You never know what anyone will bring. It could be all desserts, or it could be all salads. But even when they're not planned, chances are it will all work out just fine. Make sure you check out what all my friends brought to the table, and raise a glass of cheer, because I decided to bring the drinks. Not just any drinks - oh, no, this party is too good for bringing off-the-shelf drinks! This calls for some home made goodness. And make sure you check out the blogs - you'll might get to take home some goodies! For the party, I made an infused liqueur that showed off vanilla bean flavor, the sweetness of honey, and the color of hibiscus in a combination I named Tres Flores. This is cheery beverage for those who don't care for eggnog or mulled wine, and it's a festive color, to boot. Looking for a holiday gift? You've got plenty of time to make your own and have it bottled for gifts for your friends. You'll find that recipe right here. Theresa from Foodhunter's Guide made Arancini stuffed with Spicy Exotic Mushroom Ragu. She used the rice from the samples from Marx Foods, and made a sauce with the mushrooms and added some heat with the peppers. Good use of multiple ingredients! You know you want this recipe, right? Theresa said, "They were a lot of work but they turned out delicious." I'm sure you want that recipe, right? Jay from Bite and Booze said, "For Thanksgiving I don't like to cook turkey one way. 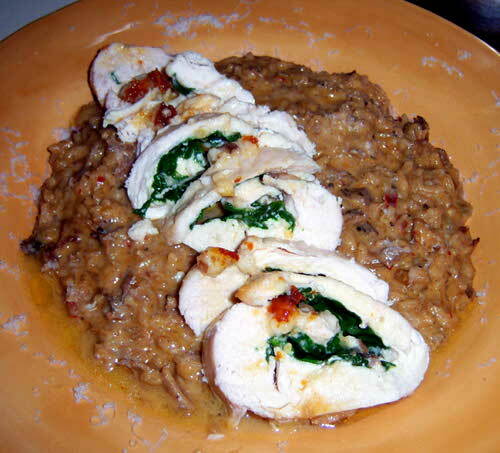 Instead I cut it up into breasts, wings, thighs and legs and cook it four ways!" Using the Marx Foods mystery ingredients for the thighs, Jay came up with "Smoked Sea Salt and Puya Chili Oil Seared Turkey Thighs with a Black Trumpet Mushroom Brandy Wine Cream Sauce." He said, "The crispy skin, juicy meat, and creamy sauce made an excellent combination!" 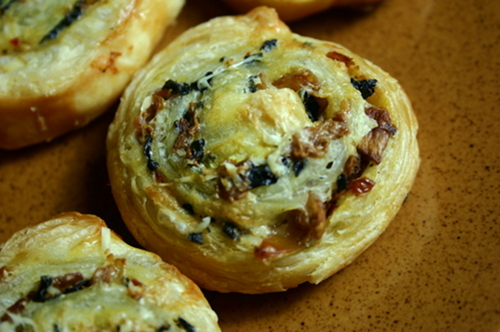 Shelby from Diabetic Foodie said, "I'm doing Spicy Mushroom Swirls - black trumpets, matsutakes, puya chiles, shallots and garlic rolled up in puff pastry with Parmigiano-Reggiano cheese on top." 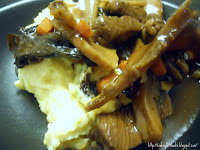 The interesting thing is that Shelby wasn't a big mushroom fan before she made this dish. She said, "I intensely dislike mushrooms and originally thought my giveaway would be all of the mushrooms. My husband, aka The Grillmaster, objected. I made these swirls for him. (He definitely has something to be thankful for this Thanksgiving.) I actually tasted these and they weren't bad. Maybe I've just never had GOOD mushrooms before." She said this is a perfect cocktail party nibble and something great to serve the Thanksgiving guests who wander into the kitchen, sniffing around the various pots and asking "when's dinner going to be ready?" The recipe is right here. 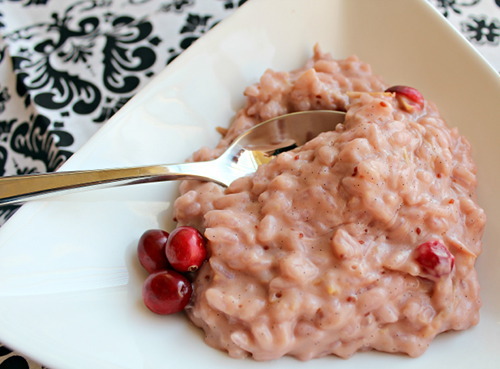 Rachel from Not Rachael Ray made cranberry vanilla rice pudding using the "Italian Vialone Nano Rice" and the Madagascar vanilla beans. There's something about those vanilla beans from Marx ... swoon. Adding cranberries to the rice gives it a festive color that would work for Thanksgiving or for Christmas, don't you think? And the cranberry season is so short, you might as well use them now, when they're available. He said that he used the "beautiful and fragrant vanilla beans," or a pumpkin bread pudding that's accompanied by a vanilla bean creme anglaise and spicy caramel apple sauce "that will be the perfect showcase to share with your family and friends this year." While pie may be the traditional choice, he suggested that you get out of your comfort zone this year and make something that will be a little different and have people lining up for more. "Trust me," he said, "this one will be requested year after year!" You'll be making this recipe soon, won't you? 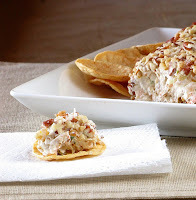 this is an adaptation of my sister-in-law's signature appetizer." The appetizer is made with cream cheese, shrimp, and aji amarillo peppers from Marx Foods. 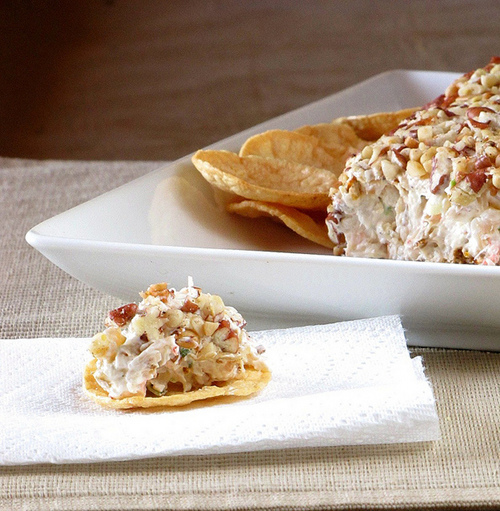 Milisa said, "Packed with flavor, it is a must for our Thanksgiving feast." I sure hope she brought enough of those chips, or I'm going to dive in with a spoon. Looks amazing, doesn't it? And the recipe is right here. 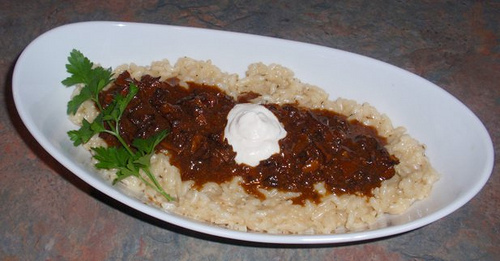 Tara from FOODIE made a risotto with mushroom gravy. Mushrooms and rice are one of my favorite combinations, and I like the idea that the mushrooms were in a sauce this time, rather than being scattered in the risotto. She said, "I'm not even going to have to add butter to finish this risotto... this Italian Vialone Nano Rice has a buttery taste on it's own! I really like it." You can make it for yourself, too! 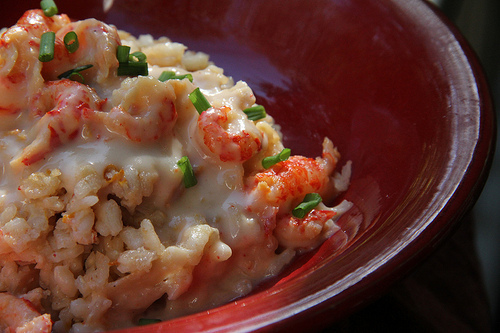 Susan from 30A Eats also went with a risotto recipe. It was hard NOT to use that beautiful rice. Susan said, "After starring at the luxurious ingredients that Marx Foods sent to me for our Thanksgiving Virtual Potluck, I first felt like I was on the show Chopped." But unlike the chef contestants on the TV show, Susan was had an out. "I was not forced to use everything in my basket," she said. "and I am allowed to share my bounty with my readers in a giveaway." Heather from Farmgirl Gourmet wanted to make sure the vegetarians in the crowd were well fed. She brought arborio veggie burgers with spicy vanilla barbecue sauce to the potluck because she knew the kids would dig some kicked up burgers. She also mentioned that her veggie burgers are quick to assemble if you use the leftovers from Diabetic Foodies or GrooVy Foodie's leftovers. Ha. As if there will be leftovers of anything. The addition of quinoa and assorted wild mushrooms gives the burgers an earthy flavor that will make you not miss the moo. 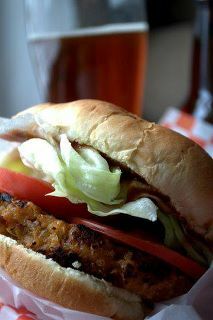 Heather said, "Spicy vanilla barbecue sauce may sound like an odd combo, but its perfectly spicy and sweet." Vanilla barbecue sauce is waiting for you! Nelly from Cooking with Books made a spicy and buttery polenta, served topped with rich mushroom and beef ragu. She said that this could easily become a vegetarian recipe. Nelly used dried organic habanero peppers, dried aji amarillo pepper, matsutake mushrooms and black trumpet mushrooms from the Marx supplies. You want that recipe? It's right here. What do you get when you take one Groovy Foody, a small box filled with delicious Marx Foods ingredients and the pressure of creating a new, from-scratch recipe with only enough for one-shot? Watch what happens when Vanessa Nix Anthony decides to use ALL the random ingredients Marx sent - in the same dish! But be warned ~ your taste buds could go a little mad (with delight that is) when you whip up her recipe for spicy vanilla mushroom risotto. Don't forget to visit ALL of the blogs. There will be some things given away, and some discounts ... so make sure you check them all out! The incredibly nice people at Marx Foods have surprised us by putting up a post on their site about us! Wow! Aaaaaaaaaand ... they're offering a secret prize to one of the lucky Virtual Potluck bloggers. We don't know what the prize is - we had no idea they were doing this. So head on over to the Marx site and leave a comment on this post, cheering for your favorite blogger. Great job on the roundup! Now this is a Thanksgiving Potluck I wouldn't want to miss! Great roundup again Donna! 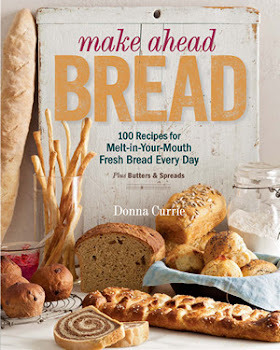 And I can't wait to check out everyone's recipes---they all look great! Lots of people to visit today! Donna, Your Tres Flores would be divine anytime, especially with my crawfish or mushroom risotto! 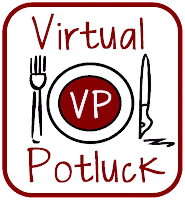 Thanks for the wonderful roundup, and for bringing Marx to Virtual Potluck! What fun this has been!